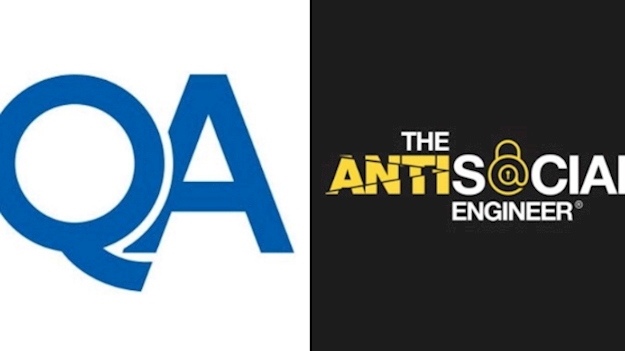 Cyber security training provider QA has teamed up with ethical social engineering specialist The AntiSocial Engineer to provide QA customers with a unique offering for advanced social engineering courses. These courses will be delivered through practical workshops and live demos, and allow delegates to hone their attacking skills and gain hands-on experience in how to protect against social engineering attacks. The AntiSocial Engineer, which is based in Barnsley, focuses on providing organisations with the skills needed to improve security defences and protect against social engineering attacks. QA’s director of cyber Richard Beck said the new offering addresses the risks that companies face from social engineering attacks and helps organisations to understand how an attacker would target them and how to improve security defences. Richard De Vere, director and social engineer at The AntiSocial Engineer, added: “By educating a wider market about our niche testing style, we look forward to increasing security defences against social engineering attacks.